Our customer’s health and safety is of utmost importance to us. 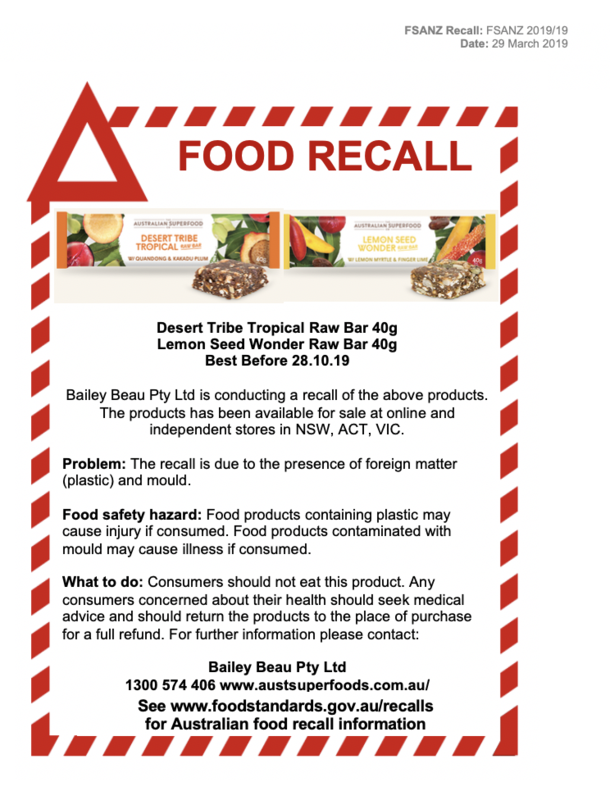 As a matter of precaution, we have decided to recall all Desert Tribe Tropical Raw Bars and Lemon Seed Wonder Raw Bars with the best before date of 28.10.19. If you have one of these bars, do not consume and contact our office on 1300 574 406 for a full refund.